This plugin enables the ability to scan and decode a barcode. It uses the open source BarcodeScanner plugin. There are a lot of acronyms in this area. The following are some related topics, links and a few brief points on how they compare or relate to barcodes. UPC or Universal Product Code is a standard way that one dimensional barcodes are encoded. It represents a 12 digit number. The site http://www.barcode-generator.org/ can be used to generate a sample UPC-A barcode. 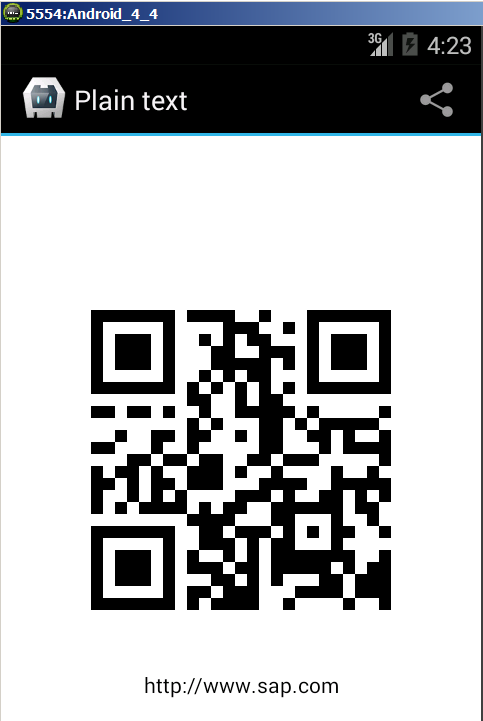 QR or Quick Response code is a two dimension bar code. It can represent numbers and text such as a URL or a person’s contact information. 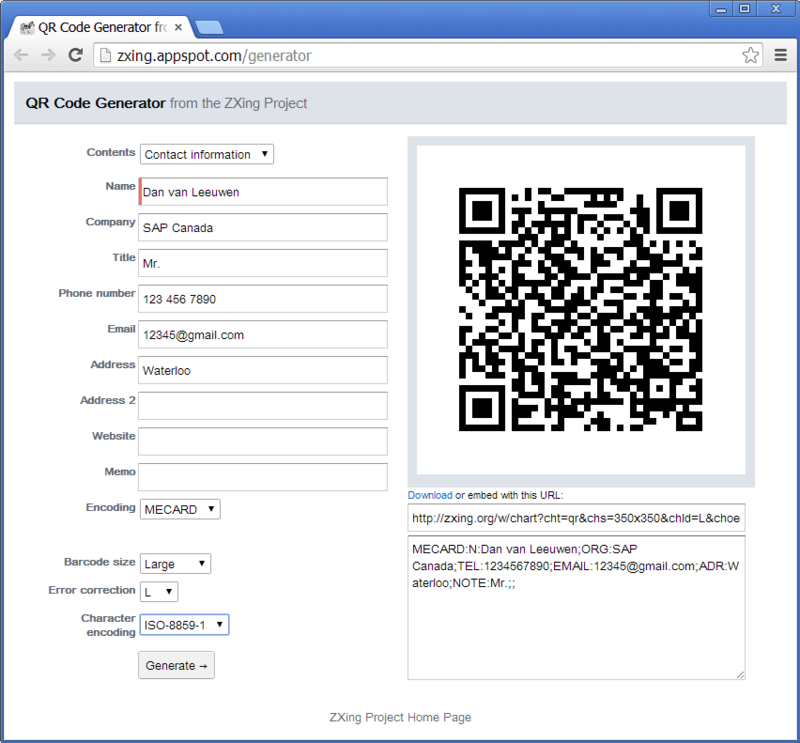 The ZXing project provides a QR generator and decoder. RFID or Radio-Frequency Identification is used to transfer data wireless for the purposes of identification. RFID tags can be used with barcodes. For example a pallet may be identified by an RFID tag but each item in the pallet may contain a barcode. Barcodes are less expensive than RFID tags. RFID tags can be read hundreds at a time whereas barcodes must be scanned one at a time. Barcodes can be sent via email such as movie ticket or flight ticket and read off of a screen of mobile device. A RFID chip does not require a line of sight to the reader. Each RFID chip has a unique identifier. Many passports include an RFID chip as do electronic toll transponders. An RFID tag can typically hold a few kilobytes of data. NFC or Near Field Communication is a set of standards for two devices in close proximity to establish radio communication based on RFID. NFC can be used to bootstrap more capable wireless connections such as Bluetooth. It is also used for mobile payment such as PayPass. It enables two way communication. iOS does not support NFC. On Google Nexus devices the feature is called Android Beam. On Samsung devices it is known as S-Beam. NFC has a lower transfer rate, requires less power, and sets up more quickly than Bluetooth. Bluetooth is a wireless technology for exchanging data over short distances similar to NFC. iBeacon is an indoor positioning system used by Apple Inc. It uses Bluetooth Low Energy. 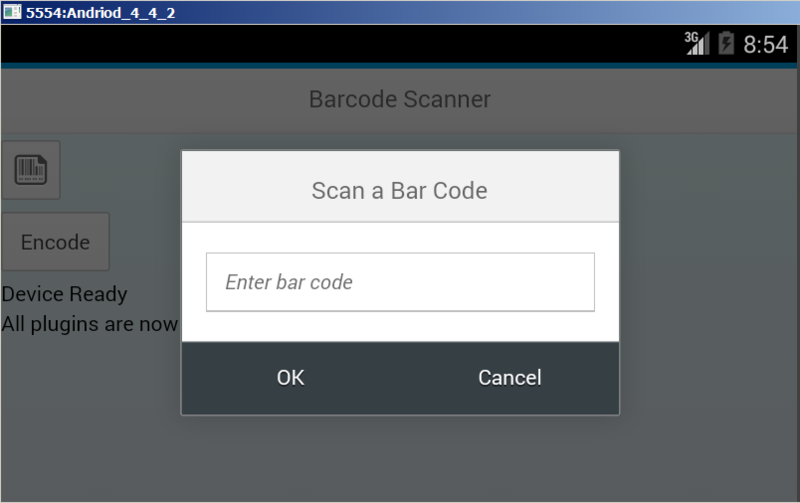 For additional details on the Barcode Scanner plugin see the file C:\SAP\MobileSDK3\KapselSDK\plugins\barcodescanner\www\barcodescanner.js or BarcodeScanner plugin or Using the Kapsel Barcode Scanner Plugin. 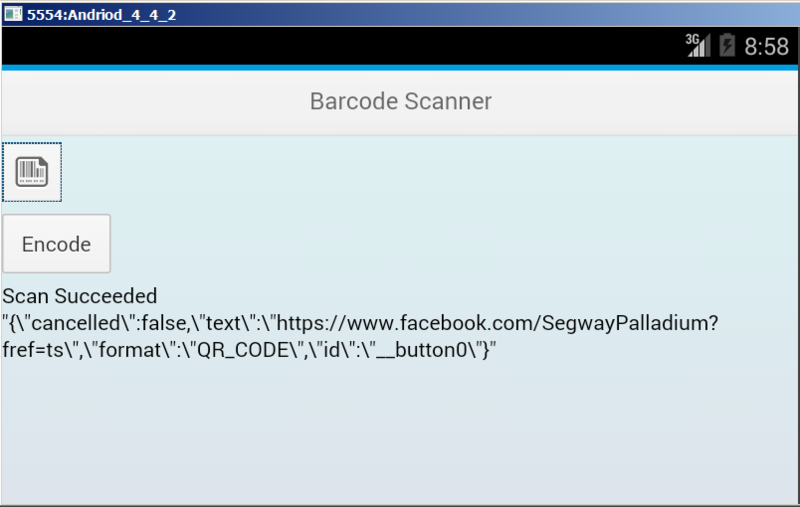 The following instructions will demonstrate the barcode scanner plugin. Replace the contents of www\index.html with the following content. Add the dialogs plugin and either the Kapsel or open source barcode scanner. Prepare, build and deploy the app. If the scan fails on Windows, open the appxmanifest.xml file and ensure that the capability Webcam is checked. See also Windows 10 app crashes, when starting barcodescanner. Find or create a barcode and then scan it. On iOS, you may need to set the character encoding to IOS-8859-1. Here is the result of calling encode on a URL. It is also possible to use the SAPUI5 sap.ndc.BarCodeScannerButton. This is part of the sap.ndc package which has controls with native device capabilities. Below is a simple example that makes use of this control and a few screenshots demonstrating how it looks. Note if the Barcode scanner is unable to successfully complete the scan, the following dialog appears to enable manual entry. Another example is available at BarCodeScannerButton. Can you give me the steps before I add plugins? The steps to create a cordova project described at the start of this blob post series. Do you have steps in integrating this to the SAPUI5 App? We make a windows apk and have serius isue reading code39. Anyone have the same isue?